MainAll NewsInside IsraelAmazon investigating doing business in Israel? Amazon investigating doing business in Israel? Amazon was rumored to be opening an Israeli warehouse. A new survey hints the rumors may be correct. A new online survey conducted by Amazon.com lends credence to reports that the internet retail giant is looking to establish a greater presence in Israel. The survey, which significantly is being conducted in Hebrew, seeks the views of Israelis regarding their desire to sell their wares on the platform and various aspects of doing business in Israel, Globes reported. The survey follows only months after a similar poll targeting Israeli consumers. The polls highlight Amazon’s interest in expanding its retail footprint in Israel and seem to confirm earlier reports that the company is looking to open a local shipping center. 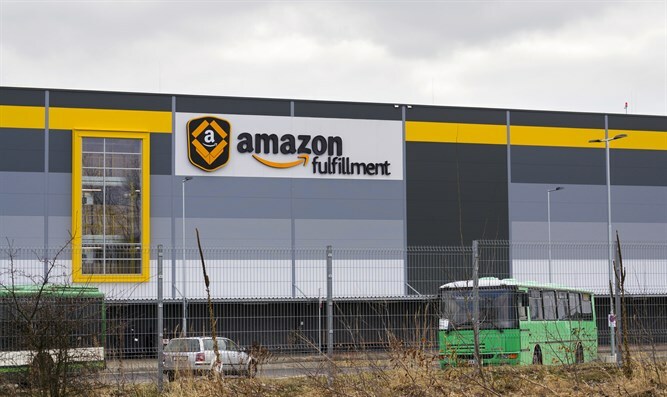 In November, the Israeli financial newspaper Calcalist reported that Amazon was negotiating for warehouse space in the central Israeli city of Modiin and that if the negotiations were successful, it would then launch a Hebrew-language version of its website. Israelis have been turning increasingly to the internet as an alternative to shopping in stores. According to the Organisation for Economic Co-operation and Development, Israel’s cost of living is among the highest in the developed world. Amazon has already started establishing itself in Israel. Late last year, the company announced that it would open research and development groups in Haifa and Tel Aviv. Amazon has been active in Israel for the past several years. In early 2015 it purchased the Israeli cloud computing company Annapurna Labs.